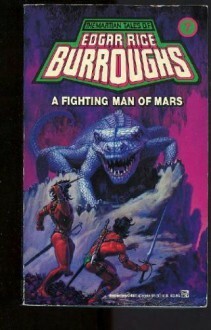 a red martian man goes to rescue a martian woman who has been kidnapped. In the process he falls in love with another, discovers yet another crazed, world domineering wannabe and yet another mad scientist. Everything works out in the end. Burroughs uses the word "indubitably". How pretentious.